United Launch Alliance (ULA) CEO Tory Bruno offered an update on the continued progress of the Vulcan Centaur during a ULA media event at the 35th Space Symposium. He said that as the nation faces growing threats in the space environment, ULA is unleashing the energy of American ingenuity by developing the Vulcan Centaur. Purpose built to meet our nation’s needs for expanding space missions, the Vulcan Centaur’s innovative technology is transforming the future of launch and will advance America’s superiority in space. Bruno continued and stated that manufacturing of Vulcan Centaur pathfinder and qualification hardware in the factory has been going on for nearly a year and, just a few weeks ago, the team began to manufacture the first flight hardware. This is a tremendously exciting time as the first flight vehicle is being built. The strong team behind the Vulcan Centaur, including ULA’s supplier base, is proud to be building a rocket to launch critical American defense assets. Vulcan Centaur will provide higher performance and greater affordability while also continuing to deliver our unmatched reliability and precision. Concluding, Bruno added that when designing Vulcan Centaur, the company took the best of Atlas and Delta and carried that over to the firm's new rocket. 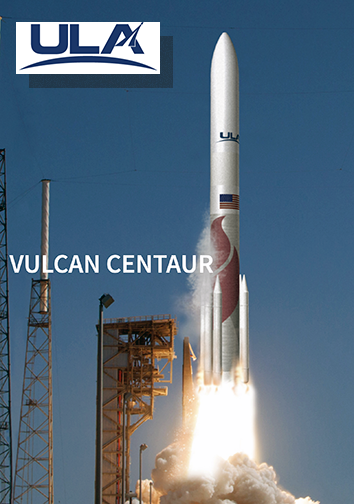 In addition, many of Vulcan Centaur’s major components will be flown first on Atlas V mission, such as the solid rocket boosters, avionics, software, upper-stage engine and payload fairings, lowering the risk of the first flight.